Since the telephones inception in the 1800’s, the invention has gone from a simple form of communication to a vital platform for businesses all over the world. Now telephone systems are an essential part of your business, ensuring you’re always able to communicate with your employees, business partners, and customers. This traditional form of telephone communication has served businesses well for many years, but advances in technology have created better, less expensive ways for your business to communicate. One of the key reasons VoIP is used by over 30% of ALL businesses is its low total cost of ownership. Traditional legacy phone systems running over a PRI (Primary Rate Interface) or traditional phone lines supplied by your local telephone company can be expensive. The average business saves between 50% to 75% by switching to a feature rich VoIP solution. Some businesses save well over 100% by switching to a cloud hosted phone solution. The initial setup on legacy phone systems can cut into valuable time in the office, and maintenance and up keep can further derail your IT staff from completing important, productive projects. Cloud hosted VoIP systems are more economically priced than traditional legacy systems. Many of the additional features and services you would pay extra for are usually included by VoIP providers. In most cases, those features aren’t even available for the legacy systems. There are multiple different minute-based plans you can choose from when selecting your service provider. You can choose Unlimited minutes (including local and long distance) or you can tailor a plan that fits your utilization and budget. In most plans, international call costs could be cut by as much as 80% of what a landline provider charges. Cloud hosted phone systems allow more mobility and flexibility by allowing your employees to communicate from anywhere. IP phones are assigned to extensions regardless of location. If an employee is traveling or working from home they have the ability to take their IP phone with them. Some cloud hosted phone system providers also provide mobile smartphone apps called softphones, that allow you to use your smartphone as if you were sitting at your desk in your office. 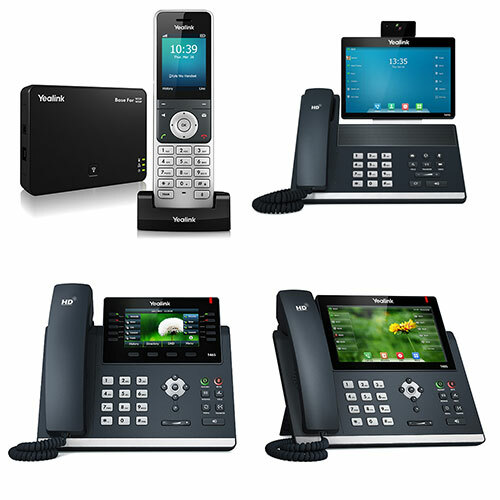 Cloud hosted phone system providers also often times offer a softphone application for your computer or tablet, which turns your device into a working phone. All that is required is a suitable internet connection, speaker, and a microphone. Now that’s mobility with flexibility! Want to switch to VoIP or learn more about upgrading your business phone system, download Silverline Solution’s “Business Phone System Buyer’s Guide”.